The DS160 combines power with wide angle coverage to give you the most bang for your buck. The quality of light is exceptional due to a round flash tube and custom powder coated reflector designed specifically to deliver the softest, most even coverage possible. 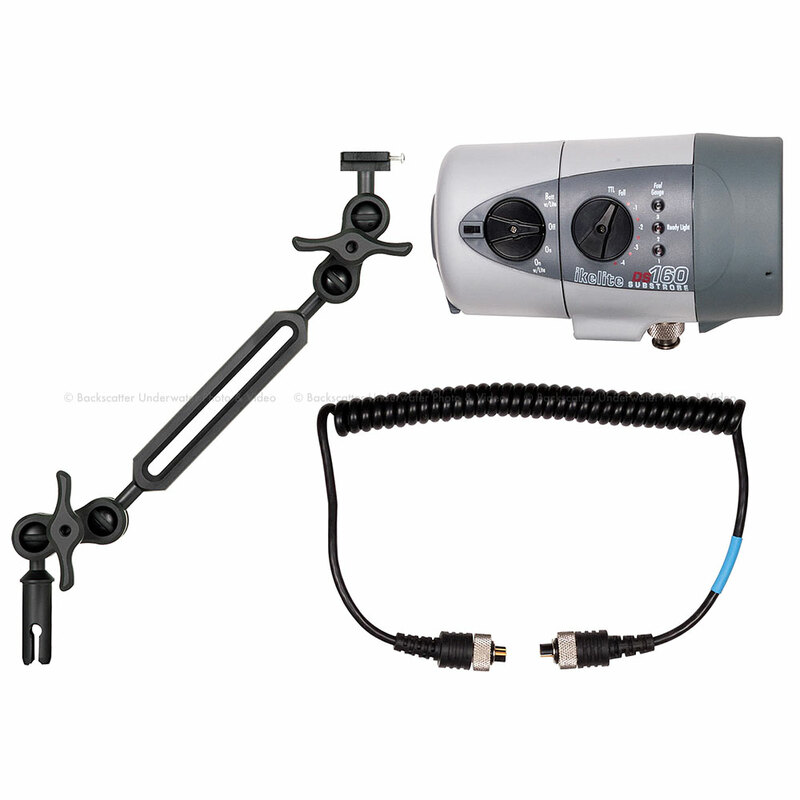 This kit includes everything you need to add a strobe to any Ikelite compact or DSLR TTL system. A bright, concentrated LED aiming light provides more than enough light for focusing or as a night diving light. The LED turns off and on when the strobe is fired, ensuring that no bright spots will ruin your photo. State of the art Li-ion battery technology produces over 450 full power flashes at an unprecedented 1.4 second recycle time. Ikelite's proprietary quick-release toggle system attaches the battery pack with ease and confidence, making a flooded battery virtually impossible. The size of the DS160 is uniquely balanced to its weight to provide near neutral buoyancy in salt water.